If you need to get hold of a deal on spare car parts, then the best way to shop is online. 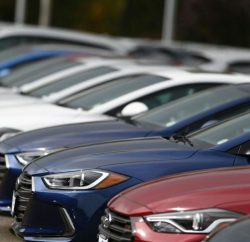 It saves you the hassle of having to go to a mechanic who will likely charge you a lot more and the only other option is to go to a scrap yard and salvage the part yourself, which can be dangerous and time consuming. 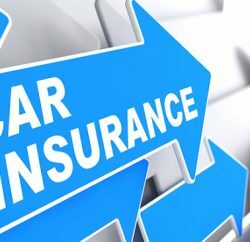 Even when you buy a spare car part through a private seller, you are taking a bit of a risk that the part may not be in good working order and the great thing about buying a spare car part through a reputable online car wrecking company is that their parts will all come with a warranty. You will need to spend some time conducting a search to find the part you need. Shopping online is convenient, as you don’t need to worry about what time the shop will close and you don’t have to fit it into a tight schedule, as the internet is open 24 hours a day, seven days a week. You will need to conduct an online search for professional Perth wreckers if you live in the Perth area for example and you can tell a lot about how reputable a company is by reading a few online reviews about their services. If you contact a car wrecking company and they don’t have the spare part that you need, then they should be able to help you to find what you are after by contacting a few suppliers for you. It is vital to ensure that the company offers a warranty with all of their spare parts, as this will give you peace of mind that you are buying a part that has been properly cleaned and tested. 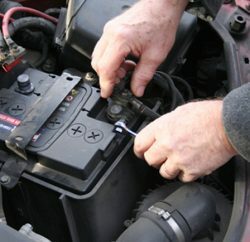 However, warranties won’t always cover everything as some small items such as water pumps and starter compressors won’t necessarily be covered. You can shop online for all kinds of spare parts for any vehicle from electrical items and accessories through to engine parts and brakes. You can buy small items like a wing mirror or larger things such as entire engines and if you are not a mechanic yourself, you will need to give the spare part to someone who will be able to professionally fit it for you. Some professional wrecking companies will not only have a website but they will also have an eBay store that you can shop through and this is useful if you already have an eBay account.